Ballooning Access offers you the chance to take a first class balloon flight over one of the UK’s most beautiful landscapes. Flights in the Vale of Berkeley area offer views not just of the Severn Estuary but into the Brecon Beacons, east to the Cotswolds and across the Severn Bridges to Bristol and Cardiff. Our accessible flights allow a wheelchair passenger plus one invited standing guest to fly along with the pilot. See the flights section for further information. Our service is very special as we only offer private charter flights for between two and four people and wheelchair accessible flights. This means you receive a more personal service compared to the larger baskets that most balloon flight companies offer which usually carry eight to twelve people, sometimes even more! We do not offer individual tickets and the only person you’ll share the basket with is your pilot. 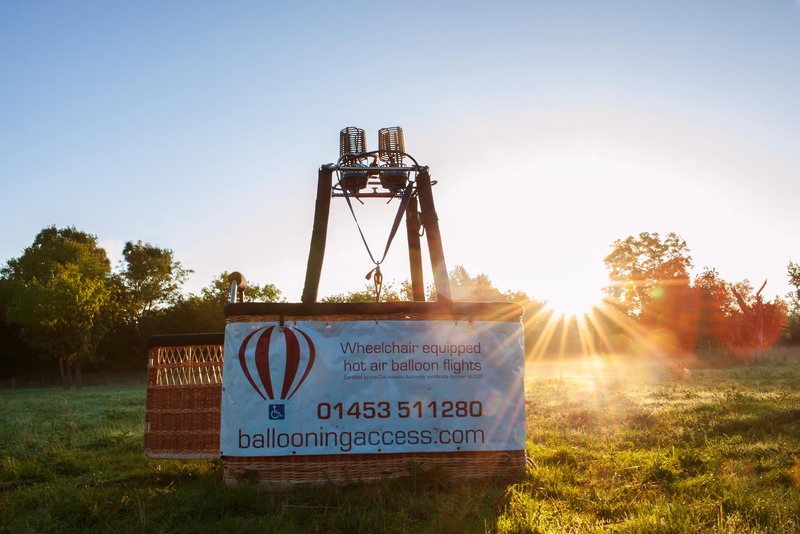 Ballooning Access is operated by Gloucestershire-based Exclusive Ballooning who are the world’s most respected aerial marketing firm. Learn more about us to appreciate the safe hands you will be in. We are a proven world class company who offer a first class local experience. Let us be your tour guide.